The Mini Multi is the most versatile of our accessories, able to be worn or carried at least 3 ways. It comes with a removable wide black belt which allows it be used a belt-bag, for when you need to be completely handsfree or are desiring that sport-luxe look. 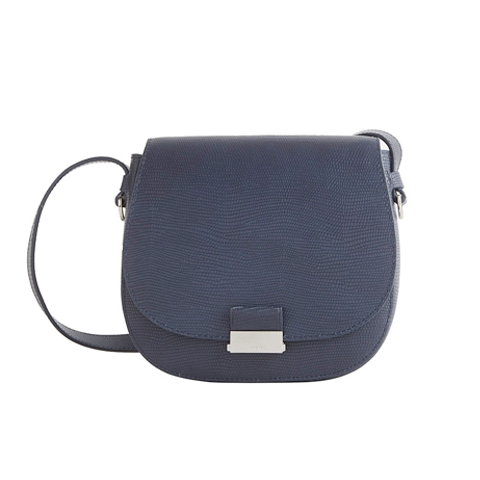 It also features a removable cross-body shoulder strap, also enabling hands-free wear. And finally, it can be carried as a clutch or used as a pouch. The interior features a roomy main compartment that comfortably holds your phone, keys and other essentials, and an interior zipped compartment for further securing your essentials. The opening features a matte calf flap which stays put with double concealed magnets, and a top zip under the flap. The main body is in our signature bubble-textured lambskin. This all-black version features matte black hardware throughout. It is branded with the discreet AVGVS serpent motif in matte black ion-plating.